Compact size and hard-shell protection. Sibel's Compact Vanity Case gives you the rugged toughness and light weight of aluminium in a compact size that makes it easy to carry around. There's space enough inside to take big electricals and sturdy clasps to ensure the lid stays closed in transit. 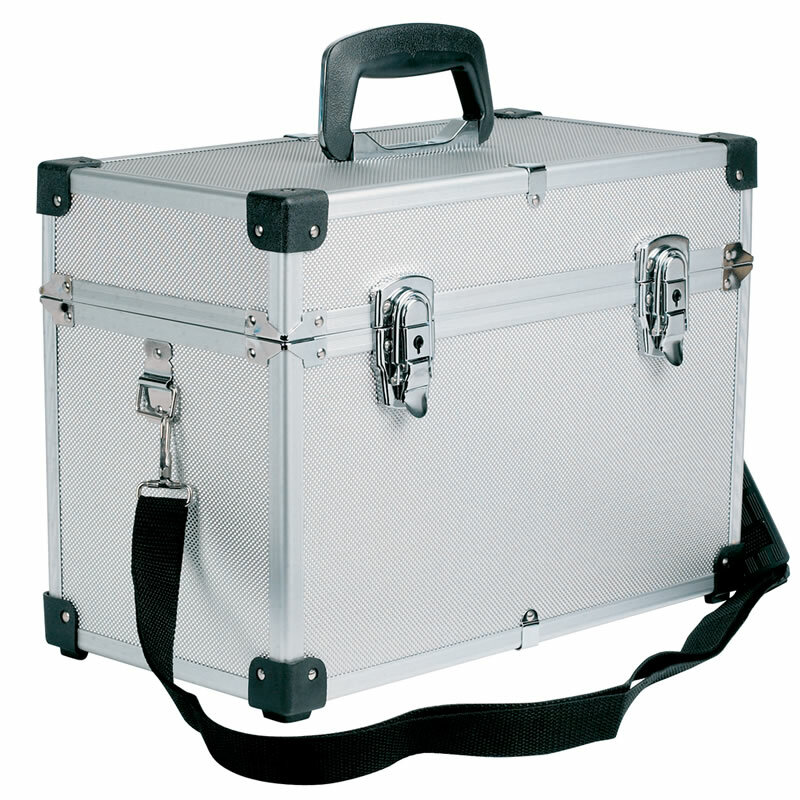 You can carry the case by the handle on its lid, or sling it over your shoulder using the adjustable shoulder strap provided. Dimensions: W: 38 cm; H: 27 cm; D: 20 cm. £31.19 (inc. VAT) Why no VAT? We're a trade wholesaler and quote our prices without VAT to help our VAT-registered customers understand the true cost of a purchase.